We staff crowd gatherers, hostesses, greeters and promo models for your Albany show. Hire Albany models to get noticed at your next trade show or event. New York is the city that never sleeps, and if you want to stand out at a festival or convention, you need to make an impact. That’s where our beautiful trade show models and promo girls come in! Our models are promotional industry professionals who have years of experience in helping companies like yours stand out at events and get the results you want from the day. They are confident and friendly and will create a great atmosphere around your booth. The staff we provide will help to demonstrate products, disseminate information and assist your existing team in qualifying leads and closing sales. Are you looking for Albany promotional model jobs? We are looking for Albany trade show models and promo girls! If you live in the Albany area and have experience in the promotions industry, then contact us to find out more about working as event staff for a local trade show job. We want to find personable and charismatic models who are confident at events such as car shows, conferences, and conventions. You should be comfortable approaching and engaging people about a company’s product, demonstrating the product and helping with sales. It is very important that you can work in teams as very often at events you will be joining an existing promotions and sales team. If accepted, we will contact you, when suitable work becomes available for you in Albany. The jobs we suggest will be local to you so you don’t have to worry about additional travel costs, disruptions or other issues. Our gorgeous girls will make a big impact on your brand image and get attendees flocking to your booth. More than just pretty faces the models will be able to efficiently and effectively join your existing team and support them in reaching the goals and targets for the day. Our professional promotional staff has the charisma and charm to talk to the attendees, push sales and be great promo models at the same time. Let your sales team focus on closing sales and the TSM Modeling Agency staff will do the rest. Albany is the capital of the U.S. state of New York and one of the first cities in the world to have installed public water mains, sewer lines, natural gas lines and electricity, infrastructure and utilities that attracted and supported substantial new industry to the city and surrounding area during the 19th century. It is also one of the first cities to have opened a commercial airport in the world. Albany has grown from a small Dutch settlement into New York State’s Capital City in the heart of burgeoning Tech Valley. Albany is the perfect destination for all types of travelers with convenient access via plane, train, and automobile; where you can enjoy four unique seasons. 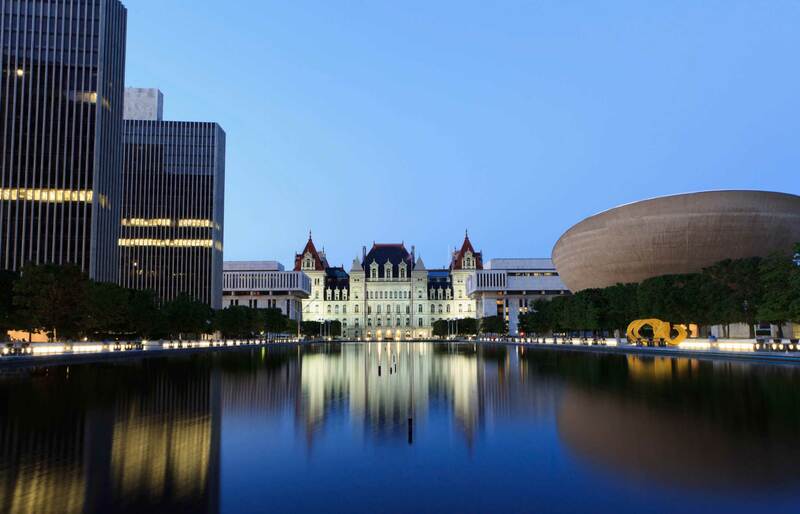 Albany is home to many upstate New York attractions both inside and outside the city. With the four changing seasons, comes different scenery and events. Historic sites and government buildings offer tours and impressive architecture. Local trades show & promotional models are available for every Albany event. BECOME AN ALBANY TRADE SHOW MODEL - SIGN UP!